Appearance is everything to most consumers. Even in the grocery store, a damaged canned good will rarely be picked up by a shopper even though the can’s appearance will not alter its content’s taste and quality. With respect to cars, its appearance can tell you a bit of what the car went through by just making a quick check. Below are the signs which can tell you that your prospective car is a lemon. A lot of people who buy second hand cars usually look for a vehicle history report (VHR) or a VIN check. A car with a VHR that does not contain maintenance reports should be considered suspicious, especially when the car is old. An old car should have a long list of maintenance checks and even accident reports or insurance claims. Make sure you get a vehicle history report or a VIN check before deciding to purchase a car. It will help you in finding out if the car is a lemon. A bumpy exterior is a telltale sign that a car has had some body work done to it. It’s okay to restore a car, but to have major body repairs will make you wonder why extensive work was done to it. It was probably involved in a major accident, or the car may have been totaled and poor work was done to restore it. Make sure to check for dents that are visible. If they are, it means that the car’s restoration was poorly done. If you have owned a car which is more than six years old, you will notice how worn out the seat belt is, due to wear and tear. So if you are buying, say a 2012 model car, and the seat belts are frayed, chances are it was involved in an accident because of the force of the impact which caused the belt to rub strongly against its metal latches. Checking the seat belt is also a good way of telling if the car is old and possibly a lemon. Some car manufacturers do not change a car model’s body for a good three to six years. Melted metal parts or even the tubes that come from the main engine itself should be in good condition. If they look tarnished or black, then it’s time to worry. 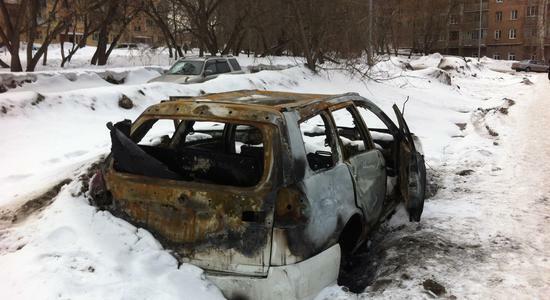 The car may be prone to overheating or has even experienced an engine fire. Either of the two may cause the car to be considered a lemon. A good sign that a car has been in a major accident or has been driven into something like a pole, tree, wall or driven over a curb is when its rims are damaged. Tire rims are made of aluminum alloy. It will take a lot of force to seriously damage it. If they aren’t perfectly straight or damaged, it means that the car was involved in some kind of accident and might be a lemon. Of course, you never buy a car if you haven’t test-driven it. You test drive a pre-loved car not only to know if you feel that it’s for you (like Harry Potter when he was buying his first wand), you test drive it to know if there is something wrong with its handling and performance. You have to be meticulous when it comes to car sounds that you usually do not hear in cars running in perfect condition. It could be your power steering which might be dangerous, or it can be an issue with the tires or loose nuts. Just like how your urine could tell how dehydrated you are, a car’s belch can tell you how healthy it is. A blue gray smoke can definitely catch a police officer’s attention, and the smell will bother you for sure. This kind of smoke means there is some leak going on in there which needs to be checked. The piston rings may be damaged or there is a considerable gap in the valves. Black smoke means the fuel is burning well—too well though. This could mean a leaking fuel injector. White/gray smoke means that the coolant is burning in the combustion chamber. Its causes could be a crack in the cylinder head or an engine block which causes the coolant to go inside the chamber. If these issues have been previously addressed but have persisted, the car might be considered a lemon (some states consider three times or more repairs to make the dealer answerable to lemon laws).